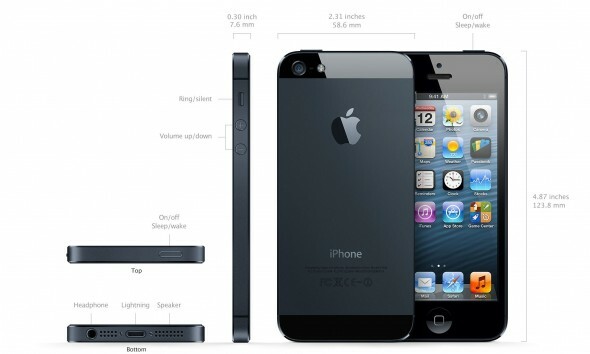 Apple has announced the new iPhone 5, iPod touch, iPod nano, EarPods, iTunes and a few more details about iOS 6. Check it out! 1:44 PM – That’s it! 1:38 PM – New nano and touch are available in October. 1:36 PM – New headphones called “EarPod” and come with all new devices but shuffle. 1:31 PM – iPod touch gets Siri. Five colors: Aluminum, black, blue, yellow and red. 1:30 PM – New “iPod touch loop” allows you to connect a strap. 1:21 PM – New iPod touch at 6.1mm, 88 grams, retina display, taller 4″ display, lighting connector, A5 dual-core processor, 7x faster, new 5MP camera. 1:18 PM – New iPod nano with bigger screen, photos, video, FM Tuner with DVR, 7 Colors, Bluetooth, pedometer & Lighting connector. 1:11 PM – New iTunes in late October. 1:09 PM – Pre-orders start Sept 14th, ships Sept 21st. 1:04 PM – iPhone 4S, iPhone 4, 3GS, new iPad, iPad 2 and iPod touch all are getting iOS 6 on Sept 19th. 1:00 PM – $199 for 16GB. $299 for 32GB, $399 for 64GB. iPhone 4 is now free on contract! 4S is now $99. 12:51 PM – Two colors, Black or white front. 12:46 PM – Full screen Safari. 12:36 PM – 3 microphones, 720p front facing camera, new “Lightning” connector. Plugs in either way, 80% smaller. Available adapter. 12:35 PM – Better video stabilization, facial recognition and grab photos from videos. 12:33 PM – Panorama feature now built into stock Camera app. 12:31 PM – Same camera with better low-light performance, new image processor to reduce noise and new smart filter. 12:29 PM – Battery life is better than iPhone 4S, 8 hours of 3G or LTE talk time or browsing. 10 Hours of Wifi. 12:26 PM – A6 chip – 2X faster CPU and 2x graphics. 12:26 PM – 802.11a/b/g/n, and it’s dual-channel, up to 150Mbps. 12:25 PM – Sprint, AT&T and Verizion. All will support LTE. 12:21 PM – New feature called “Ultrafast Wireless” – GPRS, EDGE, EV-DO, HSPA, HSPA+, DC-HSDPA and LTE! 12:18 PM – Stock apps have been updated to fit new 1136×640 326ppi screen. Apps will be letter boxed until updated. 12:14 PM – Confirmed, called iPhone 5, is taller with 5 rows of icon and 18% thinner at 7.6mm. 11:56 AM – Last minute prediction: The dock connecter will be magnetic just like the MacBooks. 11:52 AM – Keynote should begin in a few minutes!!! 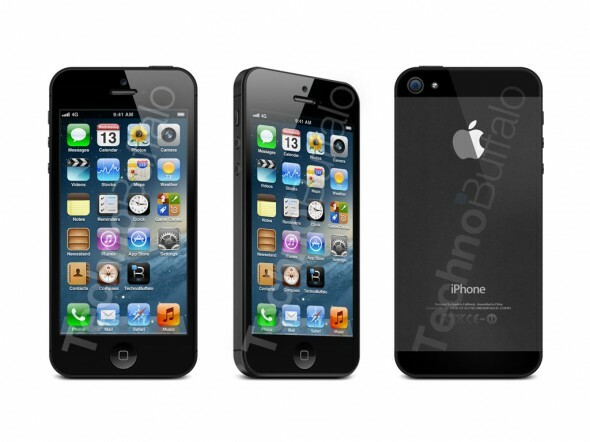 Sounds like the device will be called iPhone 5. Apple “accidentally” leaked it in search results on their website yesterday. 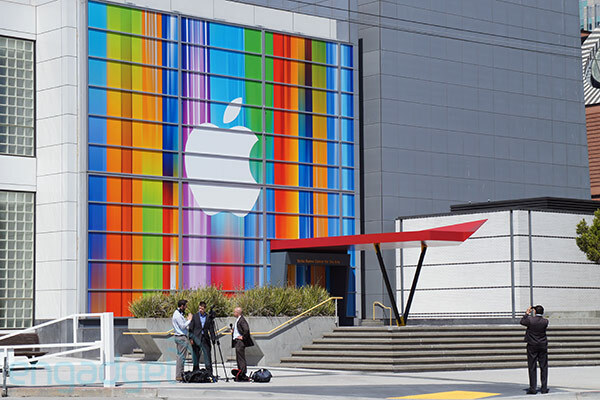 8:44 AM – Today Apple will announce the new features to it’s 6th iPhone. Will it be called the iPhone 5? The New iPhone? Will iOS 6 be released today? Golden Master? Will there be an iPad mini? New iPod touch? Find out today! Here’s probably what it will look like due to so many rumors and leaked photos of parts. Any photos for iPhone 5 ? Look like is too narrow ?? 58.6mm x 123.8mm , for elder people, how to see the text or wording at such small area..?? Am I the Mac-Fan that’s disappointed with the iPhone 5? Where was the reality distortion field?! Why wasn’t the connector at least an USB 3.0 or Thunderbolt? Every iPhone that’s been released I’ve felt like I need to get in line to buy one NOW. Not this time. I think I’ll stick with my 4s and put my $$ towards the next thing. One other thing… what do you guys think was missing in this keynote? Does the stage need to change to fit Cook’s style? Does Apple need a new format? What’s with all the leaks prior to the release? SJ wouldn’t allow leaks. What are your thoughts?